We've compiled a resources list to help families understand various uses of assessment in schools, what questions to ask, how to help children prepare, and all about standardized tests. Though tests (especially standardized tests) may be the first thing that comes to mind when you hear the word assessment, comprehensive assessment encompasses a wide range of methods for evaluating a child's social and emotional and academic abilities. As a parent, it's critical that you know about alternative types of classroom-based assessments, in addition to traditional tests and the standardized tests mandated by your school district or state department of education. Below, we've collected resources to help you understand various types and uses of assessment, identify questions you can ask your child’s teachers and school, and support your child during testing. There are many ways to measure a student’s abilities. Which ones do your child’s teachers use? Take advantage of parent-teacher conferences and back-to-school nights to talk with teachers about their assessment strategies. Do they use portfolios of student work? Do they conduct performance-based assessments? How do test results inform the way they work with a particular student or group of students? Consult the resources below for more information about different assessment types and other questions you can ask. This 2012 report by the Northwest Evaluation Association and Grunwald Associates LLC describes feedback from parents and teachers on what kinds of assessments are most useful, relevant, and cost effective, and makes recommendations for assessment developers, policymakers, and state and district leaders based on their findings. Edutopia blogger Anne O’Brien has written a helpful outline of the report findings. Grant Wiggins discusses how formative assessment and authentic assessment can help learners get the feedback they need to improve and progress. This two-page brochure, developed in 2007 by the National Education Association (NEA) in partnership with the National Parent Teacher Association (PTA), describes some of the types of tests used in schools and what parents can do. It’s also available as a PDF download in Spanish. Forget about all the vague, superficial information out there. Edutopia blogger Terry Heick cuts to the chase with 19 meaningful questions -- including questions related to assessment -- parents can ask their children's teachers at the beginning of the school year. In their book But Are They Learning? A Commonsense Parents' Guide to Assessment and Grading in Schools, Richard Stiggins and Tanis Knight emphasize that assessment and grading strategies should be defined at the start of a project -- in terms that students can understand. Get clarification from the teacher any time your child seems unclear about expected outcomes for a project or assignment. The resources below include useful strategies for supporting children during testing. Neurologist, teacher, author and Edutopia blogger Judy Willis explains how students' performance on tests can often be affected by their perceptions of and feelings about why they're being tested and what's being assessed. 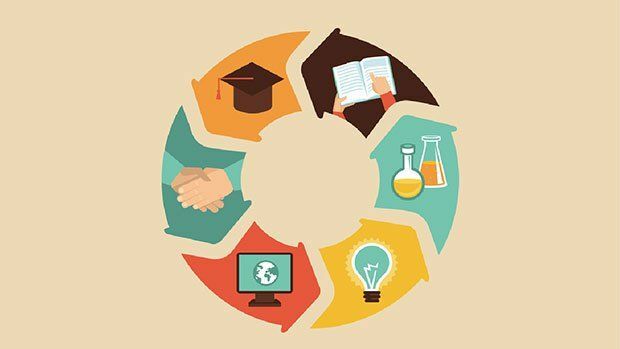 Guest blogger Lori Desautels considers the brain research on why test prep can be so stressful, and offers six brain-compatible strategies to help students feel better about themselves and more connected to the material. Edutopia blogger Matt Levinson, recognizing that students get overwhelmed by unfamiliar material and choke up on assessments, offers four confidence-building strategies: verbalizing, brain dumps, non-linear thinking creativity. This resource from Colorin Colorado, a bilingual site for families and educators of English-language learners, provides suggestions to parents to support children before tests, on test days, after tests, and on a daily basis. Do you know of other useful resources, or are there other types of resources you'd like to see included on this page? Please share your feedback in the comments.